Our new lobby is open! After a lot of hard work and a little bit of patience, the APA has reopened its front doors and is welcoming visitors into our new front lobby! 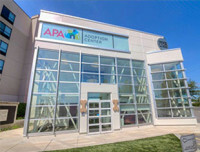 The remodeled, two-story addition features three new meet-and-greet room for potential adopters to visit with pets. 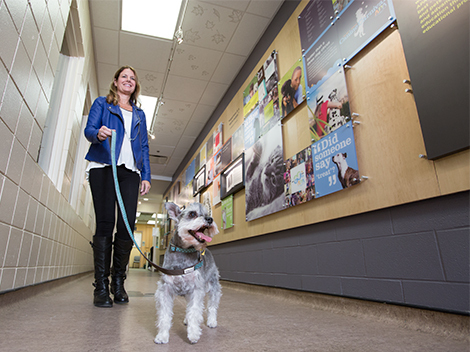 It allows the Humane Education Department to have its own space for classes and parties. There is also additional meeting space and much-welcomed new offices. For pet parents experiencing a difficult loss, we have created a grieving room to offer a quiet place for reflection. These upgrades will help us operate more efficiently and allow our pets additional space to meet their new families. We’re thrilled with how great everything looks, and although we are still putting on the finishing touches, be sure to stop by to see our new lobby! Just wanted to share a picture of our girl that we named Pixie. 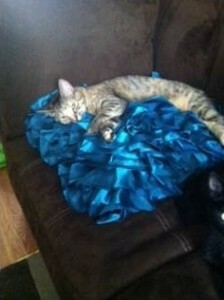 She was part of the “Brady Bunch” litter, she was the last one of her litter (Cindy) and we adopted her in the fall. We really love her and I think she is enjoying her happy home! It’s only been two days since I adopted Biggie Smalls (formerly Kennedy), but she has already settled in, and I am in love! She is just the sweetest little girl, and despite her small size, she is never shy about demanding pettings, playtime, or snacks. She adores her feather toy and scratching post and loves to sit on my lap, and she is now sleeping at the end of my bed at night — the first night she tried to sleep right on top of me, but I just couldn’t allow it in this heat! 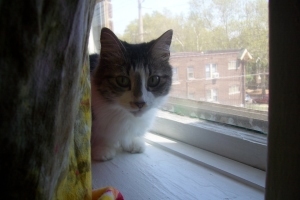 I attached a picture of her in her new favorite spot on the window sill behind the curtain, as well as one of her gazing longingly at her fuzzy mouse toy that she loves to bat around. Thank you so much for providing such a good home for Kennedy so that I was able to fall in love and take her home with me! I know she’s happy to be out of her cage, but without the APA I would have never found my new best friend. The Perfect Fit for Our Family! 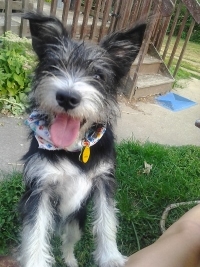 My husband and I were grieving over the loss of our Husky/Border Collie mix of 13 years, so we decided to adopt from the APA. 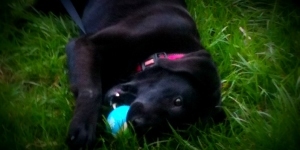 When we got there, we found a young Lab Mix who had been returned after having been adopted just two days prior. Apparently, she has been left in an abandoned house, all alone. So, we decided to adopt the sweet little girl. When we got her home, she wasn’t sure where she was allowed to go to the bathroom or what she could and could not chew on. After getting her a kennel and working with her on potty training, she turned out to be a sweet girl with lots of love to give. Now, she regularly goes outside and loves to play and cuddle. She is such a sweet girl, who just needed time and love. I am so happy that she was available as she is the perfect fit for our family! Thank you for allowing us to mend our hearts a little and find a new companion to love! We adopted this dog about 2 years ago when she was only 3 months old. You should know that I didn’t find her, she found me. We named her Sheeba, but I call her Shadoo. She is my best friend and my closest companion. We are very happy together and everyone loves her ! She’s playful and friendly but obedient when she needs to be. 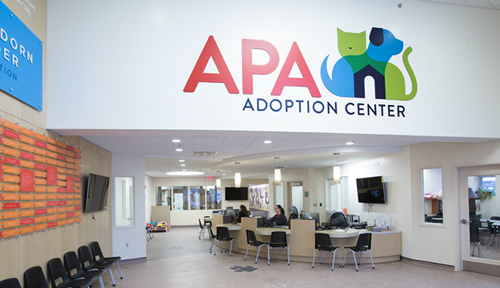 The APA is the best place to find a pet!